Writing in itself is a difficult task. No one wants anyone to write. Still people write. Some write expertly and leave their work for the posterity, some write shoddily, struggling like yours truly, and await readers. I try to write, as routinely as possible, if nothing else. I have been struggling with getting the manuscript of my collection of stories readied for publishing. Writing is easy. Being a writer is not. I have been struggling to edit the stories. There is a wonderful book- The Writer's Journal -by Virginia Woolf, which I keep going back to, now and then. No one impresses the difference between knowing how to write and writing better than Ms. Woolf. "..I think writing must be formal. The art must be respected." writes Ms. Woolf. I have come to realize how hard it is as I am editing my stories and trying to reach what could be a perfect name for the collection. However, the entire travel for a week could not find me finishing the task at hand. Writing is a task of huge discipline, more so if it is not your primary vocation (earns daily bread for you). She advocates diary writing if nothing else works. She says, "the diary writing has greatly helped my style; loosened the ligaments." Who am I to argue with her. So I blog. 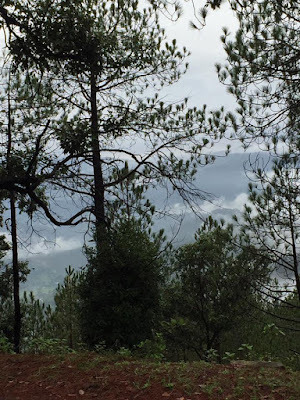 Travelling through the week in rainy mountains of Uttrakhand, I wrote a blog post in Ranikhet. It was written on Tuesday. By then three days of vacation were already done and used up. While Corbett halt was much more beautiful than the Ranikhet, the weather was hot and humid. Sitting in the cottage was not possible as family would want to explore the magnificent mangroves, so writing was out of question. Ranikhet hotel was little bland so this could get written. My stories were to be edited, six stories, edit itself was turning out to be a task as onerous as writing them. Naming them also could not happen. I was toying between multiple names, and settled down on "The Pilgrim Soul". A quick internet search had shown that it was already taken. So out it goes, with due apologies to Yeats. Naming of stories is a very complex task. It is not like a novel. Novel is easier to name. You pick a theme and name it around the central theme of the novel. A story may also be similarly named. It is particularly difficult to name a collection of story. They are totally unconnected and disjointed- Written at different points of time, with different emotions acting as a lever to drive the writer. They are not like a structured apartment, which may be named around some unifying idea around which it is built, irrespective of number of homes it may grow to hold within. These stories are like little cottages of various shapes, sizes and colors mushrooming in the hill-side. Eclectic- Yes, that is the word. 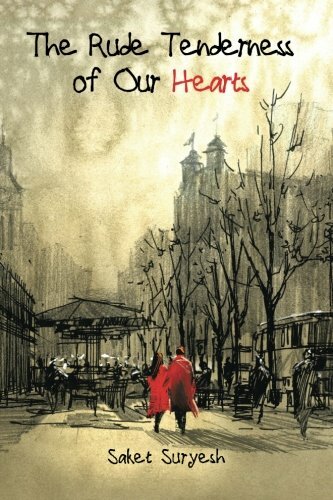 Only thing which would link one story to another, only connecting thread is the author, his soul and his sensitivity which stands common. Unless you are a Joseph Conrad or Scott Fitzgerald whose stories masses would love to read even with a bland and unimaginative name like "Stories by .xxxx " lesser writers like me need to have a name which will still tell people about the stories, with the title of anthology and get them interested enough to read them. Anyways, the writing remains unfinished amid disruptions. Ranikhet is not very cold. The valley rolls about in front of the balcony of large and poorly maintained hotel. The lines are drawn on the Earth as if nature has opened its palms exposing the lines of fate, green and orderly, patterned in a design in front of me. Silences spread, serene, with few birds chirping as the sunbeams take a slant. Birds are chirping as excitedly as they did at the dawn. A tiny, bird with black on the back and white beneath seems singularly happy in a bored, lazy day. It flies in jerks, like a writer's pen. Nonu reads her "Bedtime Stories". She reads loudly. It interrupts my writing. But her voice is so sweet, I do not have the heart to interrupt her. 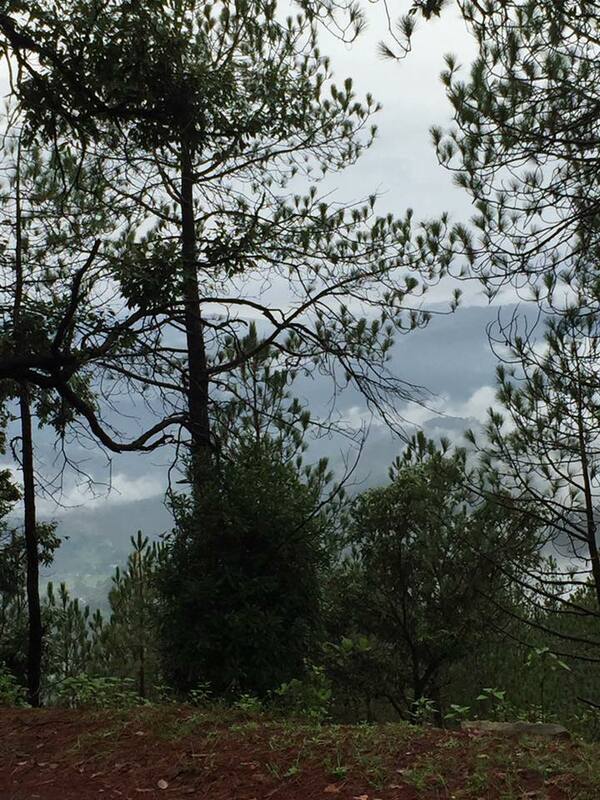 Wednesday arrives and we drive to Binsar. Writing waits. It torments me. Not writing torments me. It torments me further for I know my not writing, my not running is my own responsibility. You can call failed resolution and decadent lifestyle anything, you can't avoid that lack of discipline is slowly creating a tomb, not only for the soul, but for the body. I read Virginia Woolf. I open it suddenly, as if it were a book of fortune and opened fate will tell my fortune. I read. "The feeling of depression is on me, as if we were old and at the end of all things." She writes. She is forty at the time of writing this. I will be forty-five this August. The sense of time passing by haunts me. As if I am getting crushed under the unfeeling wheels of an unforgiving juggernaut. The Sun slowly goes down the old pines, standing like old knights, living in a century to which they do not belong. Asynchronous to the times. I pant, I sigh, and close my diary. I die with every word I fail to write. Post-Script- I am back in sweaty hell of the capital and the demands on the soul descends from the skies. My spine cracks. Edit of the stories is done, I send it for content verification. I get a revert on copyright of lines of poetry I had added to start of poetry. I check each poem for expiry of copyright on the web. Those are poems from couple of centuries back, one even from BC, (Horace). I respond to the agency and await there revert. The name of poems, yet undecided. I am toying between few. Still. Your writing is directly from your heart. Keep writing. I think you are too hard on yourself Saket. Your writing is as the flow of the river. The shine of the sun as it breaks through the clouds. It smells of the finest blossoms and brings tears to ones eyes. One doesn't always become well known overnight and many barely eek out any sort of living. Virginia Wolff is right, but only for some. Others must write pieces or let the story gel in the mind, until it is full. This one is on thoughts within the writer, the cast of otherwise occupied mind. And in flow of thoughts, to sneak time for his love, writing. Honestly on floating Islands of free mindscape in time, to settle down, only to write, while one has written already, so much, so good. A dream a greed to explore within, when you know, there is so much more. And deep within, you sow, the seeds of thoughts to grow. A happy mindscape, a Corbett within.